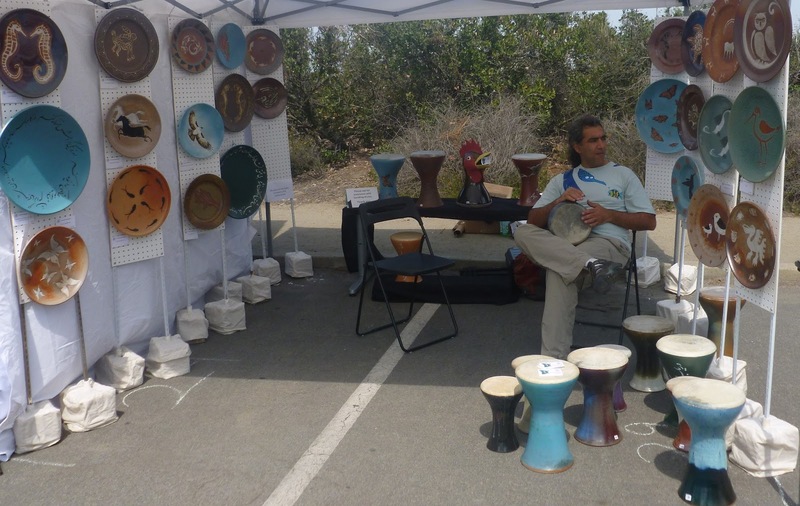 Torrey Pines State Natural Reserve Docent Society and the Torrey Pines Association came together to offer the fourth annual Art in the Pines event on May 4th and May 5th. 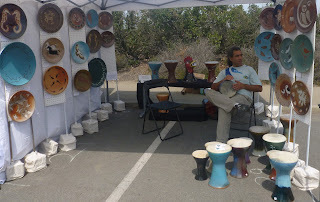 Art in the Pines offered a wide array of work from local artists who set up in booths to sell their productions. Each artist brought forward different offerings such as paintings, art pieces, pottery, sculptures, photography, and much more. The event also offered an awards ceremony, raffle, live music, food and kids events. Located at the top of the hill next to the beach it was a perfect place to display nature in its unmolested forms. This was the first time the event was open to everyone within the state of California. More than 96 artists descended on the area to display their talents. People could come see the art for a grand price of FREE. That is right…no cost! In addition to the great price there were also shuttles running free to patrons from the parking lots to the top of the hill. I sort of cheated because I found a parking spot on the street and walked into the parking lot to catch the free shuttle. I made a small donation to make up for it. The program had a beneficial purpose. It provided an outlet for artists, associations, businesses and individuals to support children’s education and collaboration with nature at the reserve. Connecting youth to nature helps them have a wider understanding of how nature is an important part of living. It also provides an opportunity to see creatures in their natural environment and respect the stewardship of that environment. The artists painted their work while within the grandeur of the outdoors. This gave them an opportunity to watch nature and see its wonderment as they tried to put their personal imprint on their experiences. Taking such work back to a studio is hard because one loses the real life experience, smells, movement, wind, and feel that contribute to an artist’s understanding. For 30 days, many of the artists sat under the sun drinking from bottled water preparing for the event. 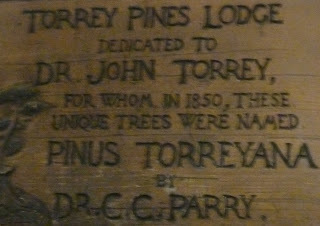 The Torrey Pines Docent society maintains a large collection of books about natural history. They also seek to raise money and put on educational events to keep the legacy of Ellen Browning Scripps alive. 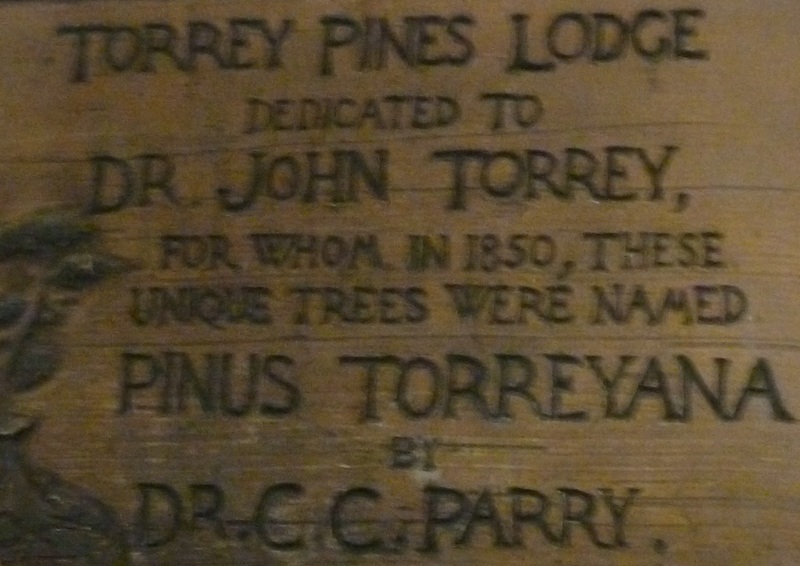 She donated the Torrey Pines lodge so generations can enjoy nature into the future. You can consider joining the Association or volunteering your time to help in maintaining and raising awareness of the reserve. From their website you can make a donation, review some of the trails or see their video productions. The reserve offers lots of trails for those who like to hike or bike. It would be a great weekend day to spend some time on the beach and then hike up the hill to see the outlooks. By the time you get up there you will have fulfilled your doctor’s recommendation of a healthy lifestyle.